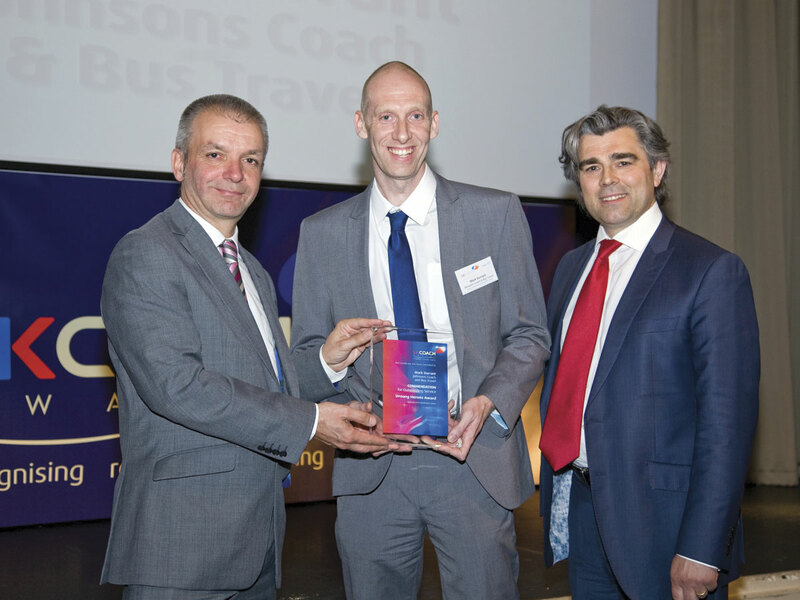 Opportunities to publicly highlight the hard work put in by coach operators and their staff are few and far between which is why the UK Coach Awards are such a worthwhile feature of the annual coaching calendar. Changes in recent years have moved the emphasis more towards the contribution of people and in a people industry this has to be right. 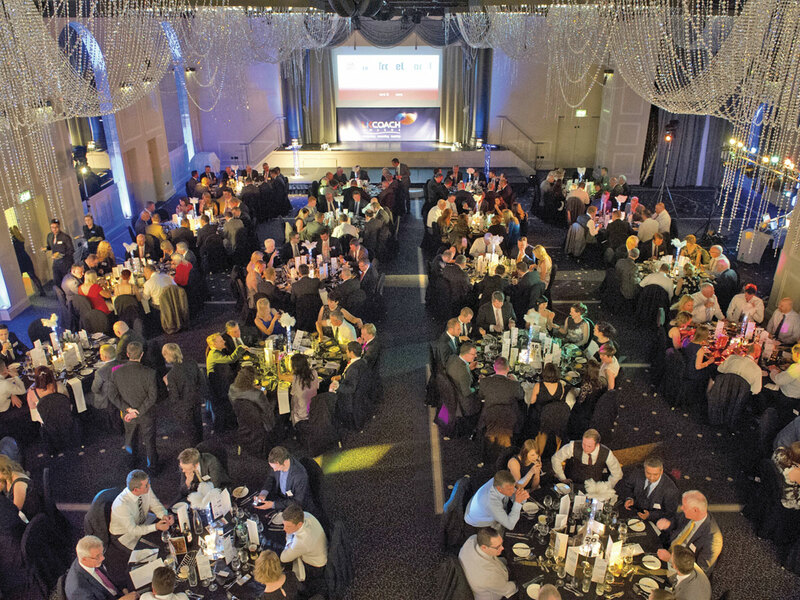 This year’s competition, the sixth to be held, came to its climax last week at Manchester’s famous Mercure Piccadilly Hotel, where representatives of operators and sponsors gathered for the Annual Presentation Ceremony to celebrate all that is good about the industry. 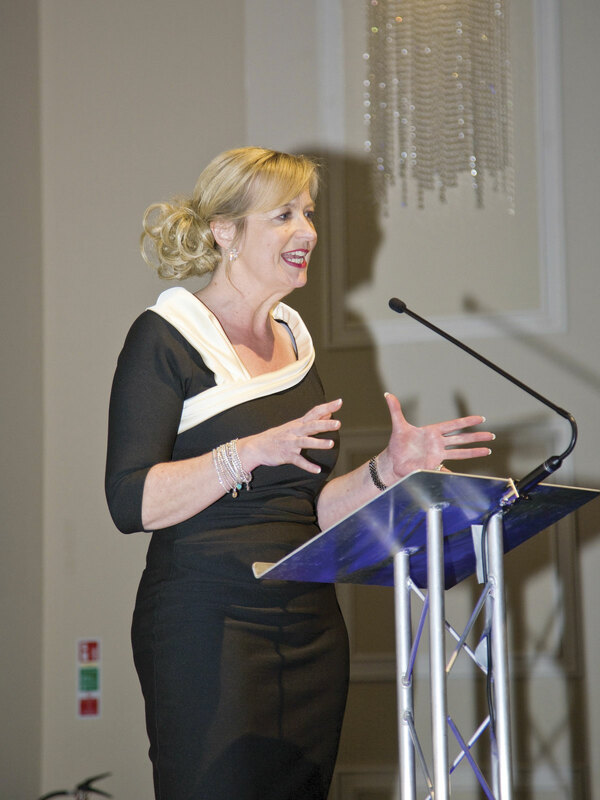 As in previous years, the evening was compered by Carol Kirkwood, the popular television weather presenter who gives the proceedings a warm front. There were 15 award categories being contested, most involving Gold, Silver and Bronze awards, though only the Gold winners were called on stage. The official part of the event started with a speech from Allan Edmondson, Chairman of the UK Coach Awards, a not for profit organisation started by the Transport Events Group. He was followed by CPT President, Bill Hiron, who was later to present the prizes. Taken purely in terms of the amount of silverware collected, the most successful coach operator of the evening was Anthony’s of Runcorn who scooped not only the top operator award, the UK Coach Operator of the Year, sponsored by AJ Gallagher and Liberty Specialty Markets, but also the Top Small Fleet Operator which was sponsored by EVM. 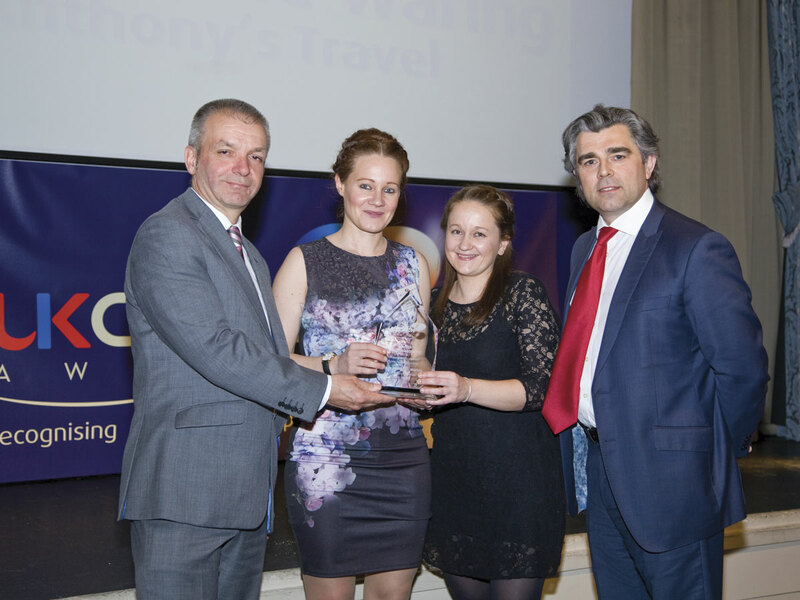 Staff from Anthony’s Travel were also award winners, with sisters Faye and Jodie Waring received a Gold Award in the Unsung Heroes category, sponsored by Backhouse Jones, for their work in the company’s travel office. Completing the tally was a Bronze award in the Coach Marketing category, sponsored by Icomera, for their community-based approach to building brand awareness. Pipped by Anthony’s for the Top Coach Operator title were Excelsior Coaches of Bournemouth and Edwards Coaches of Pontypridd. 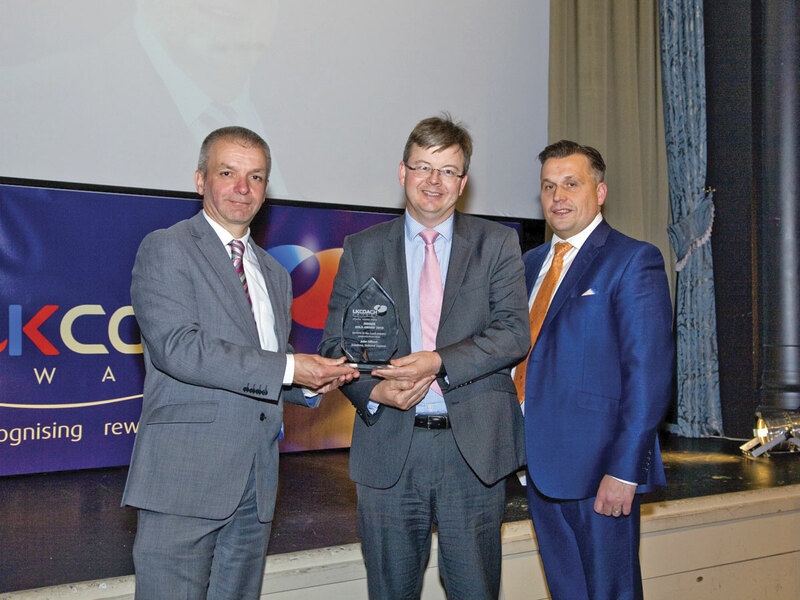 Excelsior won the Top Medium Fleet Operator title (for fleets of 16-100 coaches), sponsored by Volvo and Thomas Hardie Commercials, for a hugely impressive fourth consecutive year. 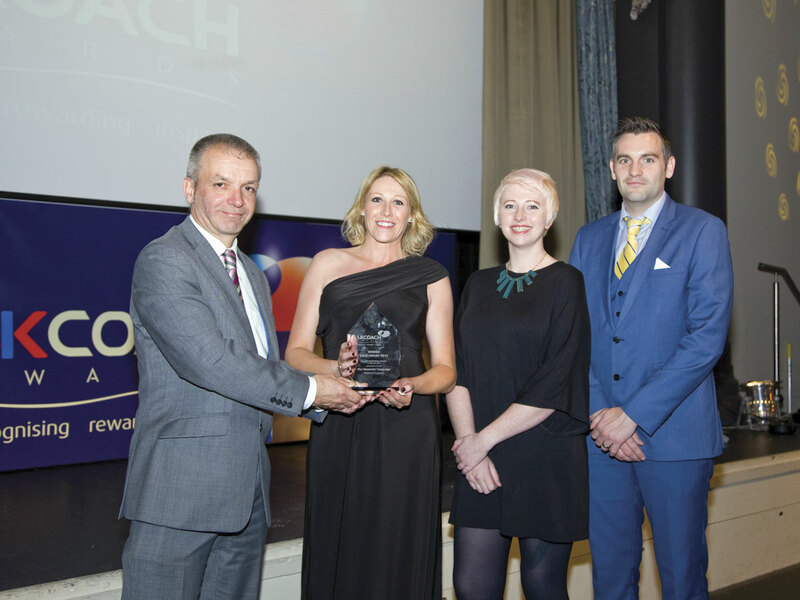 Edwards Coaches of Pontypridd, who now have a fleet totalling 260 vehicles, had triumphed in the Top Large Fleet Operator category, sponsored by EvoBus. 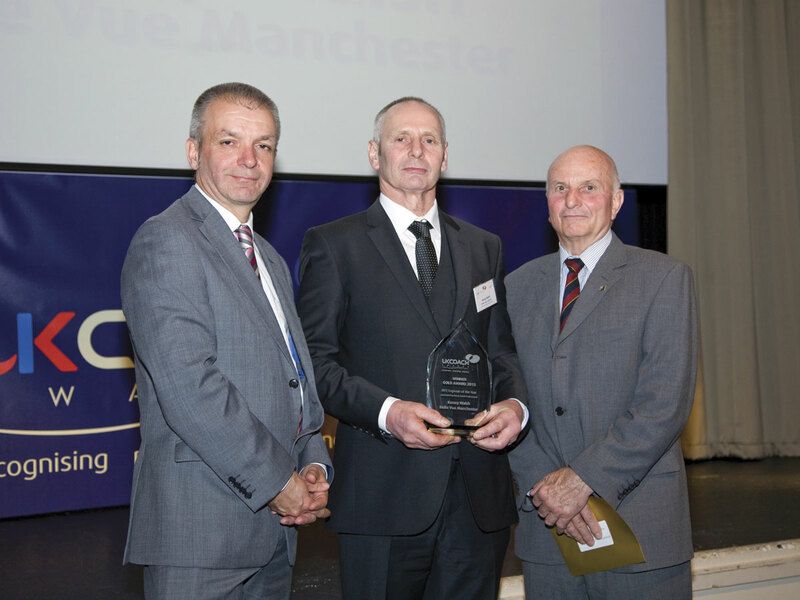 The Kings Ferry won the Silver Award and Johnsons Coach & Bus Travel the Bronze Award in the Large Fleet category, while the York Pullman Bus Company and Belle Vue Manchester won Silver and Bronze respectively in the Medium category. 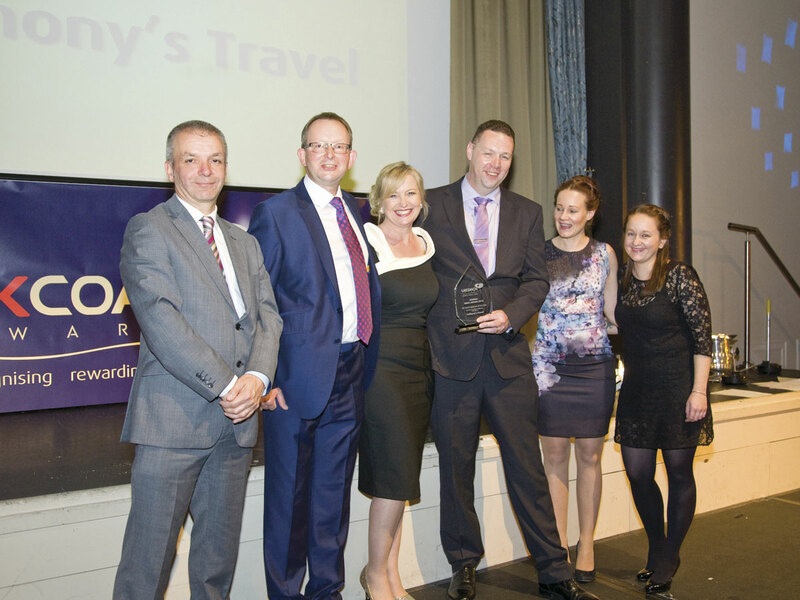 In the Small Fleet category, Woods Travel took Silver and Parrys International Tours won Bronze. Stagecoach had the Top Express Operation category sewn up. The Gold Award winner was Express City Connect from Stagecoach East Scotland, while The Oxford Tube, run by Stagecoach in Oxfordshire won the Silver Award. 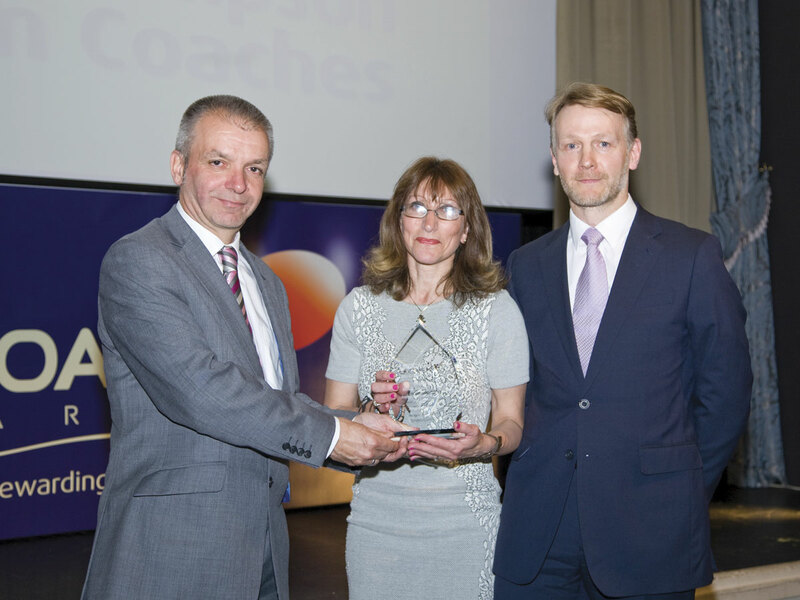 Sponsored by Traffilog, the Top UK Coach Driver was Gary Hipperson, from A W Eastons Coaches, based near Norwich. From a family of coach drivers, the judges praised his mentoring work with other staff at the company. The Silver Award was won by Christopher Wellman of Alfa Coaches. The Gold Award for Coach Marketing for Larger Operators went to National Express for a campaign featuring David Soul of ‘Starsky and Hutch’ fame. Shearings Holidays won the Silver Award with their digitally driven marketing strategy. 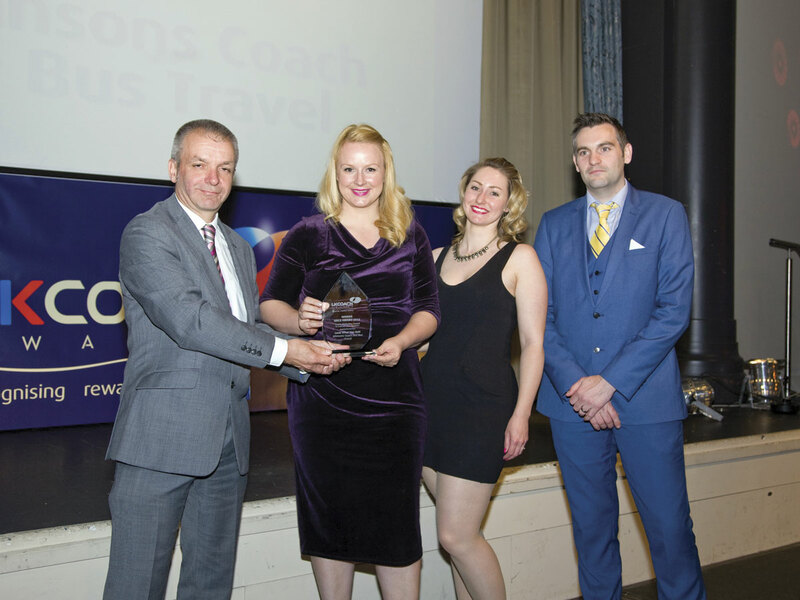 Shearings also took the Gold Award for Coach Travel Programme, impressing the judges with a range of new ideas to give people reasons to travel. A worthy winner of the Award for Services to the Coach Industry, sponsored by the Personal Group, was John Gilbert, President of Eurolines, part of National Express Group, who has been at the forefront of international express coach operation since Wallace Arnold founded Euroways in the 1970s. 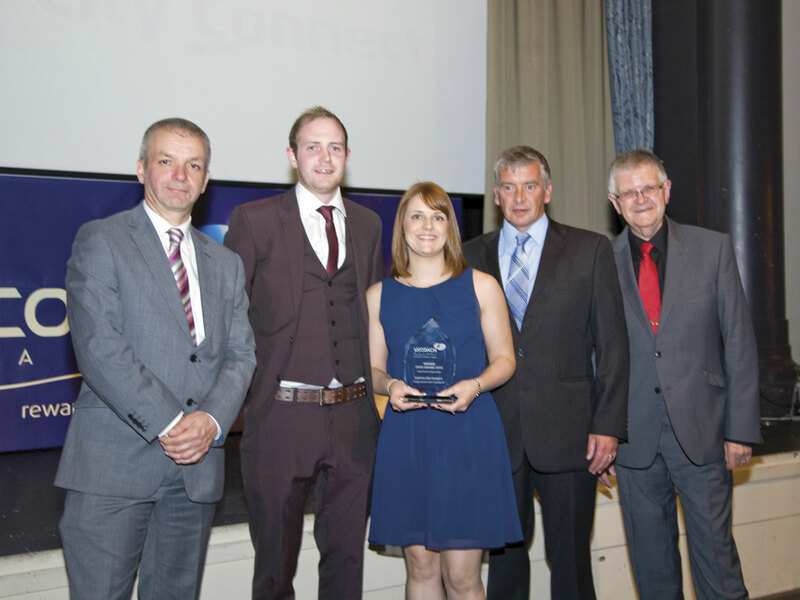 Sponsored by Mistral, the Award for Customer Service went to Angie Sampson, Tour Manager at Epsom Coaches, while Kenny Walsh from Belle Vue Coaches of Manchester was judged Engineer of the Year after more than 45 years in the industry. 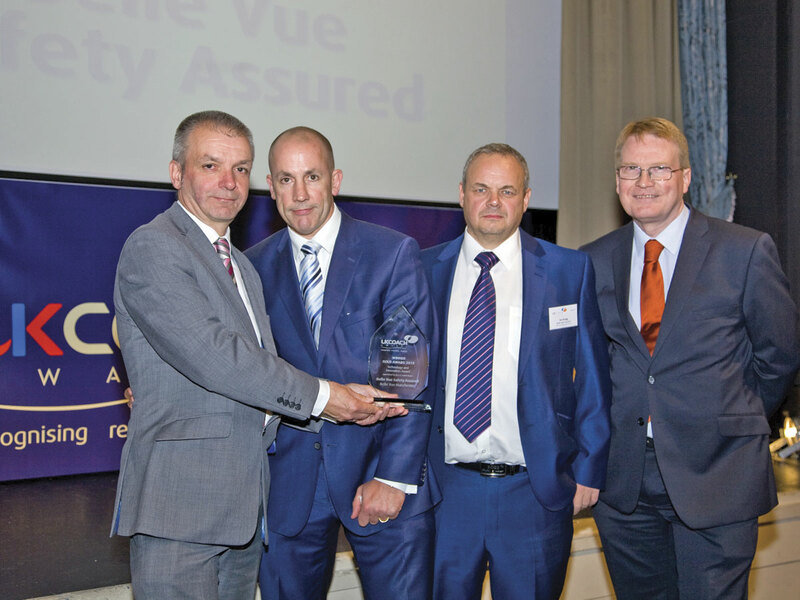 Bus & Coach Buyer is an enthusiastic supporter of the UK Coach Awards sponsoring the Technology and Innovation Award which saw another victory for Belle Vue with its Belle Vue Safety Assured programme. The company has worked with Traffilog to help develop and adapt its product to become instrumental in the improvement of driving standards and the prevention of incidents as well as producing a health and safety briefing DVD which is played to passengers before their journey begins. 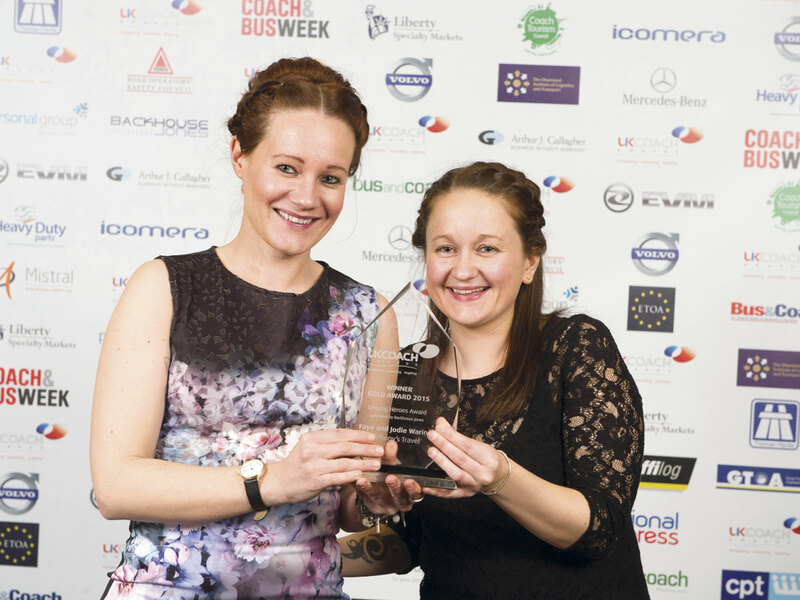 Winners of the Coach Marketing Gold Award for small and medium sized companies, sponsored by Icomera, was Johnsons Coach & Bus Travel with its Look What You Get! 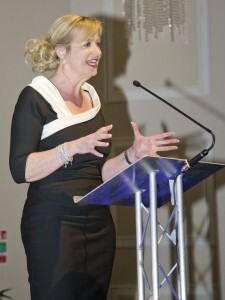 campaign, while the Silver Award went to AW Eastons Coaches. 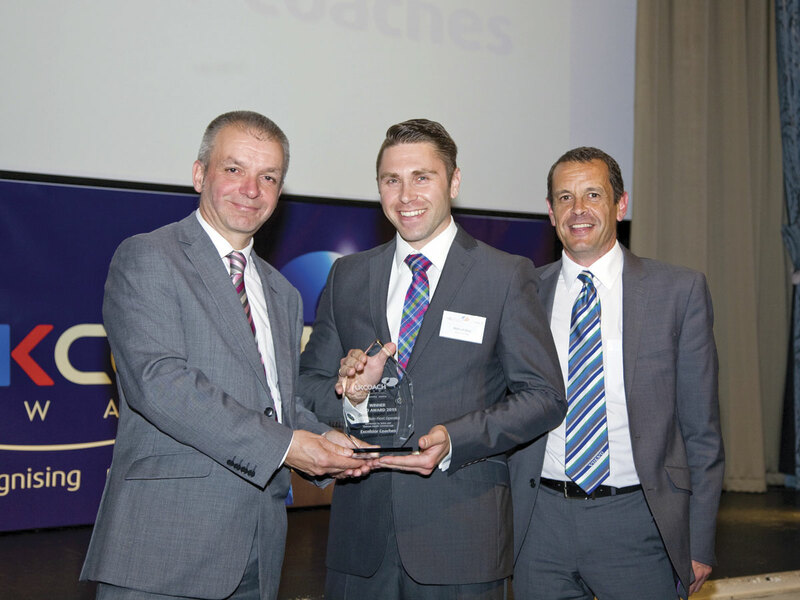 Eastons and Johnsons also took Silver and Bronze respectively in the Coach Travel Programme category. 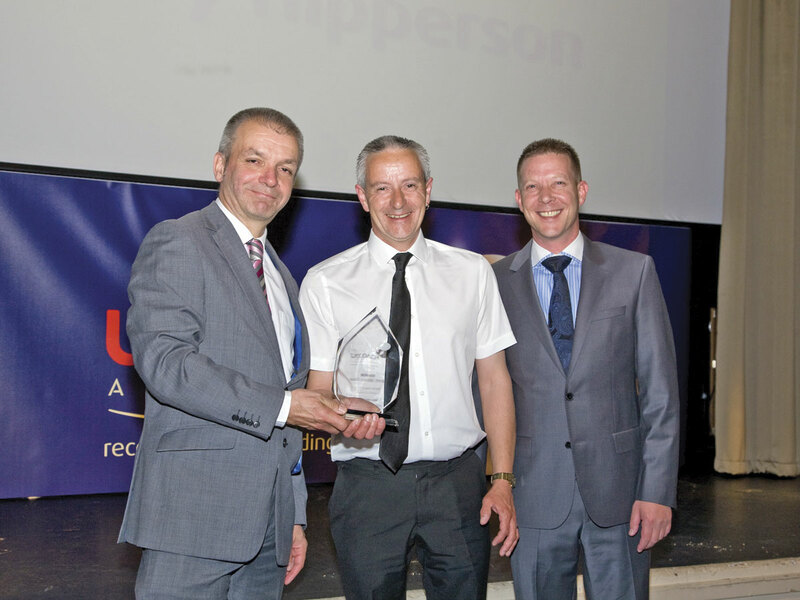 A further success for Johnsons was Mark Durrant in the Unsung Heroes category. 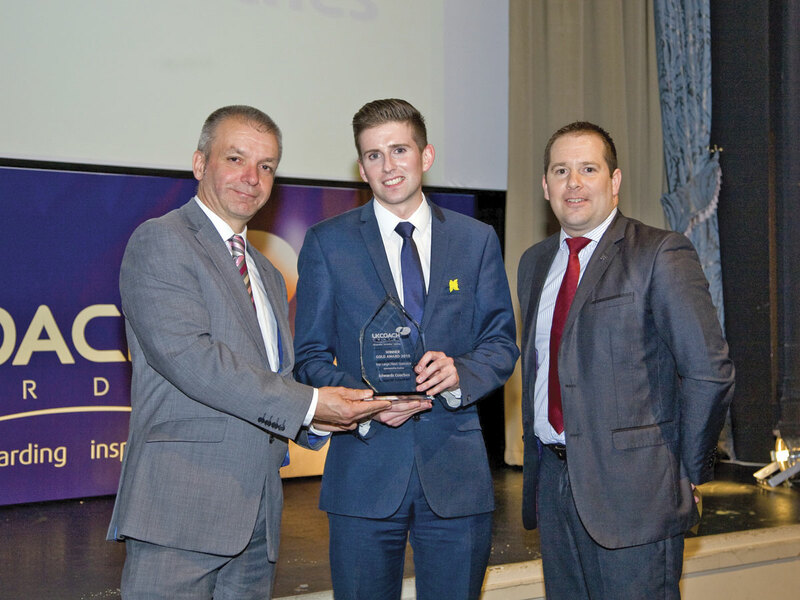 In the Young Coach Industry Professional category, sponsored by CILT UK, the Gold Award went to Charlie Hatcher who is only 23 years old but runs Victoria Coach Station for National Express. Kevin Walker of York Pullman won the Silver Award. Sponsored by ROSCO, the Safety Innovation category Gold Award went to National Express with its ‘Cycling Safety Sticker Project’, with the Silver Award going to York Pullman’s ‘York Schools Partnership’ and the Bronze Award to another National Express initiative, ‘Driving Out Harm’. The event is not on the scale of the Bus Industry Awards but the Coach Industry Awards is a thoroughly enjoyable and worthwhile night for all concerned. It is perhaps unfortunate that the attempt, a couple of years ago, to combine it with the UK Coach Rally in order to raise the profiles of both events was not deemed a success by all, but despite this, genuinely independent recognition of the efforts made by coach companies and particularly their staff is something that there is simply not enough of.